Fresh Perspectives on Beach’s Past, Present and Future. To commemorate Beach’s 100th Centennial, Piedmont’s Post’s Answer Man visited our classrooms and asked students for their perspectives on the school’s history and future. 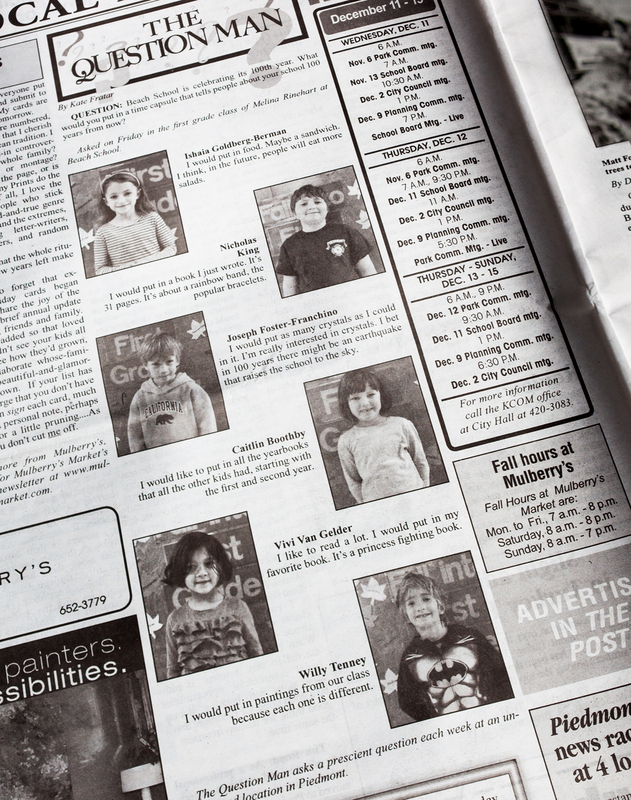 Answers range from the whimsical to insightful, and the whole Beach community has enjoyed seeing the kids’ answers in the Post. Three cheers for the Piedmont Post for making this a fun and engaging part of our Centennial year.